11th Hour Racing today announced eight grantees, representing a variety of organizations and projects in the U.S. and the U.K. Funded by The Schmidt Family Foundation, 11th Hour Racing’s grant program is committed to mobilizing sailing, marine, and coastal communities to create systemic change for the health of our oceans. Projects that tackle climate change and water quality issues through ecosystem restoration (new for 2019). 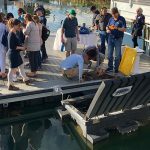 Clean Ocean Access (U.S.) – This grant will support the newly launched initiative Healthy Soils, Healthy Seas Rhode Island, a collaboration among four local organizations that are establishing composting practices for businesses, residential buildings, and individuals. This initiative offers the opportunity to divert waste from Rhode Island’s landfill, which is expected to reach capacity by 2034. The project also educates the local community on how composting reduces greenhouse gas emissions caused by food waste, builds healthy soils and improves water quality. eXXpedition (U.K.) – eXXpedition runs all-women sailing voyages designed to educate participants about plastics and toxic chemicals in the oceans. This grant will support the recently announced eXXpedition Round-The-World 2019-2021, which will host more than 300 women on 30 voyage legs, visiting four of the five ocean gyres. 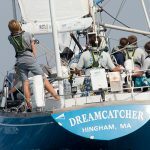 Additionally, eXXpedition founder Emily Penn will conduct five workshops this year in sailing and coastal communities on how to tackle ocean pollution using their network, teams, and communities. 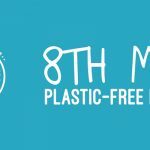 Final Straw Solent (U.K.) – Final Straw Solent has quickly become a force for increasing awareness of plastic pollution and eliminating single-use plastics within its local community through its beach cleanups and grassroots campaigns. This grant will focus on generating consumer demand for change among businesses, industry, schools, and empowering businesses to move away from single-use plastics and incorporate composting. Hudson River Community Sailing (U.S.) – This grant is launching a second Sail Academy for middle school students in Northern Manhattan, NYC, building off Hudson River Community Sailing’s successful youth development program focused on environmental education and STEM curriculum for students from underserved neighborhoods in Lower Manhattan. Additionally, the program offers academic support to help students succeed as they transition to high school and beyond. Ocean Conservancy (U.S.) – Through this grant, Ocean Conservancy’s Global Ghost Gear Initiative will remove approximately 5,000 pounds of derelict fishing gear from the Gulf of Maine; this waste is the most harmful form of debris for marine animals. Estimates suggest that more than 640,000 metric tons of fishing gear is lost annually, accounting for at least 10% of all plastic pollution in the ocean. This grant will also focus on identifying and discussing methods to prevent this problem. Sail Newport (U.S.) – This grant will support Sail Newport’s Pell Elementary School Sailing Program including staffing, sailing instructors, teaching supplies, and transportation for the students to and from school. 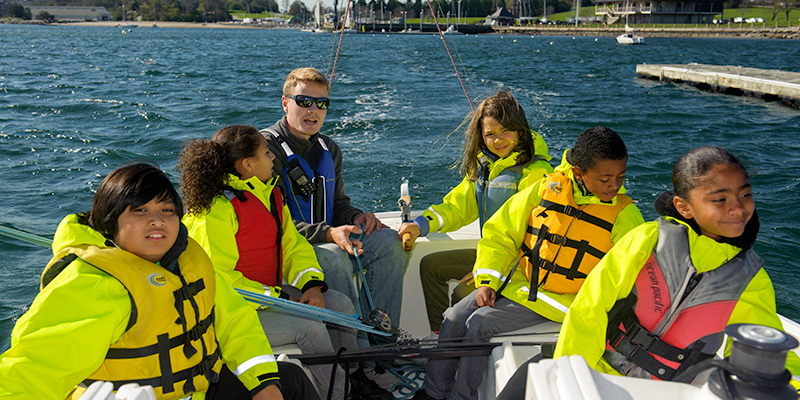 The program, which has educated more than 360 kids since it started in 2017, enables all 4th-grade students in the Newport Public School System to learn how to sail as part of the regular school day while integrating elements from Next Generation Science Standards. 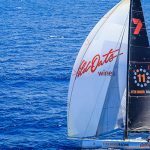 The Ocean Foundation (U.S.) – This grant will support The Ocean Foundation’s Seagrass Grow program to offset the footprint of Vestas 11th Hour Racing’s 2017-18 Volvo Ocean Race campaign. 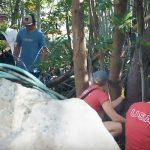 Restoration will take place in Jobos Bay National Estuarine Research Reserve in Puerto Rico, which is still reeling from the devastation of Hurricane Maria. Seagrass meadows provide valuable and diverse benefits including carbon sequestration, enhancing storm protection, improving water quality, and protecting critical habitat for wildlife. 11th Hour Racing will also support The Ocean Foundation’s communication initiatives to increase knowledge and awareness about the availability and benefits of blue carbon offsets. 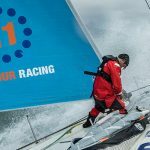 World Sailing Trust (U.K.) – The World Sailing Trust is a new charity set up by the sport’s governing body, World Sailing. The Trust promotes participation and access to the sport, supports young athletes, and develops programs to safeguard our planet’s waters. This grant will fund two initial projects, which focus on environmental sustainability training for younger sailors and reducing the environmental impact of sailing clubs. If you are interested in learning more about any of the grantees, or 11th Hour Racing’s mission, please contact us. 11th Hour Racing holds at least two grant reviews a year, the next deadline for submissions is March 1st, 2019. Providence is the first state capital to install a marina trash skimmer! 11th Hour Racing establishes strategic partnerships within the sailing and maritime communities to promote collaborative, systemic change benefitting the health of our ocean – one degree at a time. Since 2010, 11th Hour Racing has been harnessing the power of sport with an innovative and comprehensive approach through three primary areas of engagement: Sponsorships, Grantees, and Ambassadors.